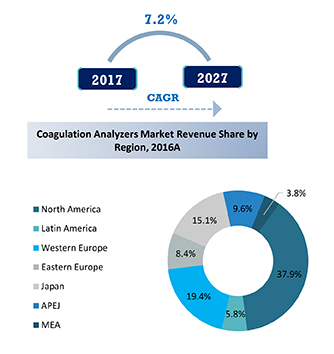 Physician preference to point of care coagulation analyzers that measure prothrombin time/international normalized ratio (PT/INR)is attributed to growth of global market. • By product type, standalone analyzers dominated the global market in 2016, and is expected to continue to do so. 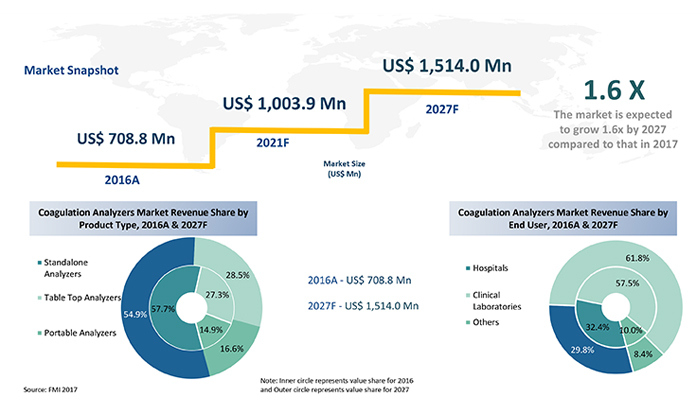 Also, increasing approvals for new products in the in-vitro/hemostasis diagnostics segment would further increase the adoption. 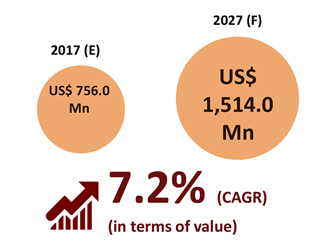 • Western Europe is expected to experience highest CAGR of 7.8% over 2017–2027, primarily due to increase in coagulation diagnosis coupled with point of care diagnostics along with increase in industrial medical device manufacturing capacity. Also, rising healthcare reach in untapped markets may spur revenue growth during the forecast period.